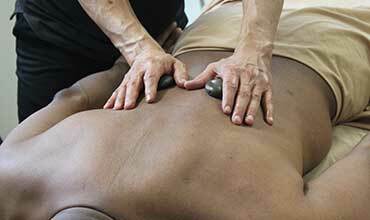 What is Massage Therapy? Massage Therapy is the concept of moving, manipulating, or working on the soft tissues of the body including skin, muscles, and tendons to increase blood flow, relax the nervous system, and promote physical well-being. 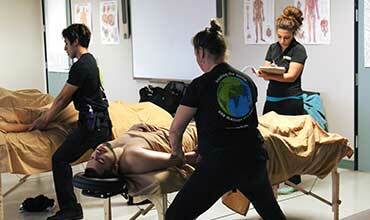 Massage Therapy is sought out for many different reasons by many demographics. The main reasons are usually to reduce stress or anxiety and to reduce levels of pain. These reasons can also extend to one just wanting to simply relax or create a healthier lifestyle for them by working on their body and wellness. Massage Therapy can also be used to rehabilitate certain injuries caused by sports, work, or any daily movements or muscle strain. Special massages can be extended to athletes or pregnant women to suit their specific needs for special circumstances. Originally, SOCHI began as a massage-based school and that is where our foundation and the heart of our operation lies. Helping others overcome pain and stress by healing touch is a passion of SOCHi's founder, Boris Prilutsky and our Massage Therapy program director Angel Gregorio. Angel has been teaching with SOCHi since 2000 and the techniques and skills he learned under Boris, and refined over years of working with high profile clients are woven throughout our curriculum and make the bulk of our hands on protocols. Angel personally trains every instructor that comes to teach massage at SOCHi in these techniques. This lineage of experience in medical and sports massage has produced thousands of outstanding and successful therapists in the field over the years. By choosing SOCHi as your massage education, you are continuing a long tradition of therapists providing science and evidence-based medical massage from the minds of our expert founders, program director and faculty. SOCHI's Advanced Professional Massage Therapy program prepares you to begin an exciting career as a massage therapist in about 9 months. 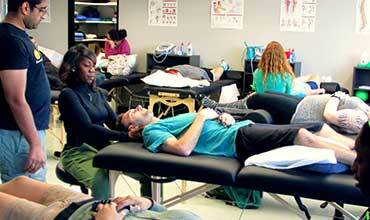 Helping others heal themselves by applying hands-on treatments is a powerful and rewarding occupation. As we stated above our methods and protocols are scientifically based and we have experts in the field of Medical and Sports Massage that will share their knowledge and experience with you to help you become a success. You will get real world experience performing massage in our on-campus Massage Clinic under the supervision of our faculty. Upon completion of the program, we supply you with all the tools you need, including a massage table and preparation for the MBLex exam, so that you can get to work as soon as possible after graduation. 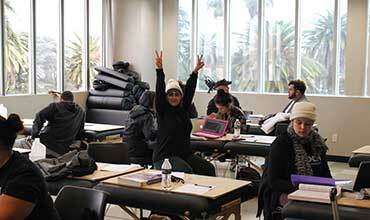 In short, you will learn all the basics and a solid foundation to build a successful massage career. We touch on many topics to make you a well rounded therapist and prepare you for the certification exam, as well as how to present yourself as an asset to a potential employer or massage client. 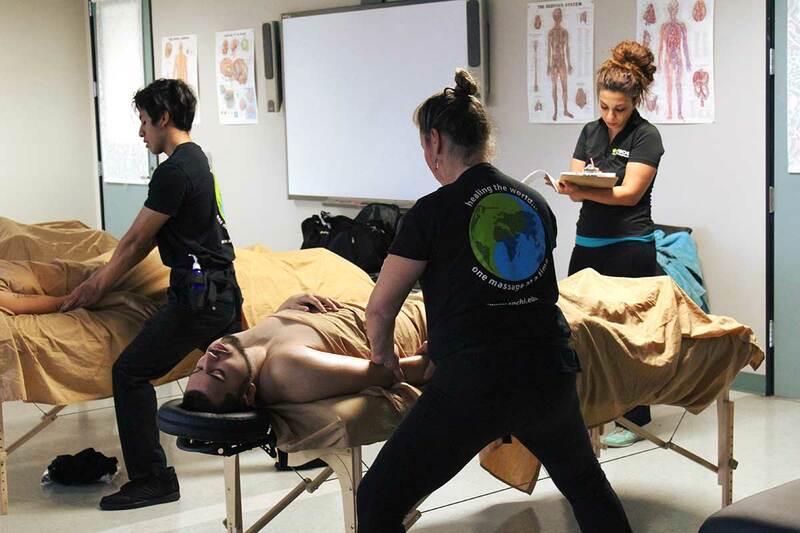 SOCHi focuses on both the rehabilitative and relaxation portion of massage therapy training and will ensure that our graduates know the in’s and out’s of both crucial branches. The Advanced Professional Massage Therapy program at Southern California Health Institute (SOCHi) provides you with training in massage therapy with an integrated approach to health and wellness. We teach you how to document your treatment and speak with other healthcare providers about your client so that you are a part of their overall wellness plan when necessary. We also enhance the therapist’s skill set by offering study in massage theory and application. 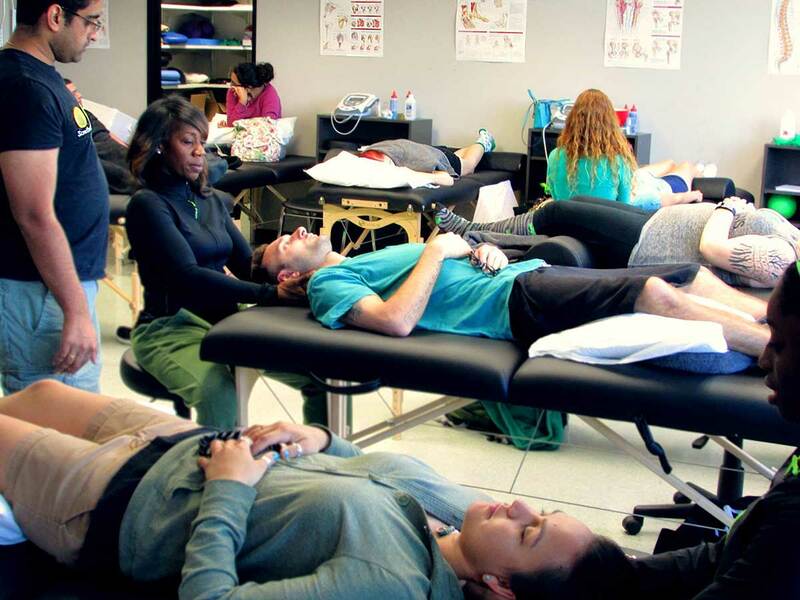 The program provides career training in medical massage therapy, eastern massage, specialized massage, Russian sports massage, spa treatment modalities, and additional massage therapy modalities including lymph drainage, myofascial release, and trigger point therapy. Also included are the foundational science and massage theory classes in anatomy, physiology & kinesiology, pathology, CPR and first aid certification, professional ethics, hygiene, and business principles. Upon graduating from Southern California Health Institute, there will be many opportunities for employment in the world of Massage. In terms of massage for rehabilitation, many clinical setting such as chiropractic offices and medical offices will need Massage therapists to assist in that crucial portion of their facilities work. This is also extended fitness clubs for sports rehab and obviously any sort of clinic specifically designated for rehabilitation. Many other facilities hold massage for relaxation and leisure and this will include businesses like spas and resorts in need of therapists to serve their team. Below is a list of a few of the places that one can work in once they become a graduate of Southern California Health Institute. Additionally, many of our graduates have thriving business seeing their own clients. Some of them that is enough to be their only source of income and others choose it as way to supplement other endeavors such as artistic or entertainment careers. Your ability to work and be a success in this field is only limited by your imagination. It is a great thing to be able to be your own boss! Once graduated, students have the opportunity to build their own clientele and work from home or even travel. This can be done by creating a business for you, or some students become contracted with a third-party app that partakes in pairing massage therapists with people who need work done on themselves. All the wonderful benefits of becoming a Massage Therapy graduate still apply even if you are working remotely and managing your own client list. Stress is the leading cause of doctor visits for various manifestations of disease and dysfunctions here in the United States. Median Income in California of $38, 940 as of 2015. “Hello! My name is Angel Gregorio. Welcome to the Advanced Professional Massage Therapy Information page. 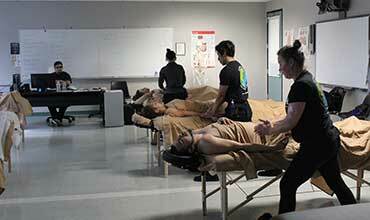 I am the massage therapy program director as well as a graduate of SOCHi. Ultimately I decided to pursue massage therapy because I wanted to help relieve people from chronic nagging pain as well as relieve them from the stresses of life. That’s initially why I ended up at SOCHi and here I am to this day continuing the dream I once thought wouldn’t be possible. Southern California Health Institute is the leading massage therapy training center in California. By the end of your training at SOCHi, you will be able to find rewarding careers in sports-medicine practices, private massage clinics, physician’s offices, chiropractic centers, health clinics, and more. With a 14% increase in the job outlook through 2024, this leaves our graduates with plenty of opportunity. That still leaves us with a few questions. What will Massage Therapy do for me? How do I know if Massage Therapy is right for me? As you may already know, Massage Therapy is designed to heal the body. Whether the stress against the body is emotional, physical, or extreme, massage is necessary to heal. With a hands-on approach, you will have the satisfaction of one-on-one healing with your clients. The change in posture and attitude when you are done with a clients program or session will leave with all the gratitude you need to keep moving up the ranks. It’s one thing to relieve someone temporarily of pain, but to heal them naturally is a gift that is worth the training. If you are someone who likes to heal the world, manage your own time, and make a generous salary, then massage therapy is the perfect choice for you. 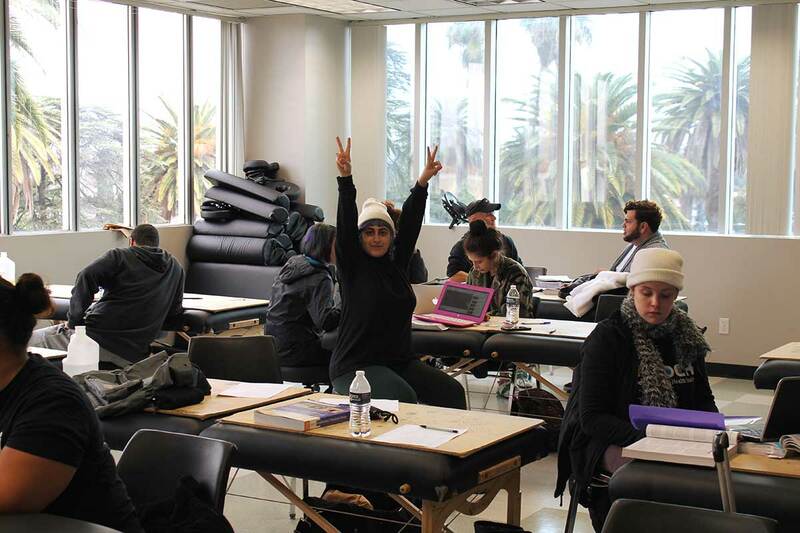 In less than a year you will have all the tools you need to start your successful career in Massage Therapy at Southern California Health Institute. 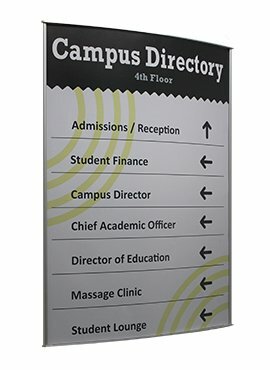 Our course serves the San Fernando Valley which includes Los Angeles, San Fernando, Burbank, Glendale, Calabasas, Universal City, Valley Village, North Hills, Hidden Hills, Topanga, Sherman Village, Santa Clarita, Reseda, Northridge, Encino, Pacoima, Sun Valley, Van Nuys, North Hollywood, Arleta, and any other city within driving distance.